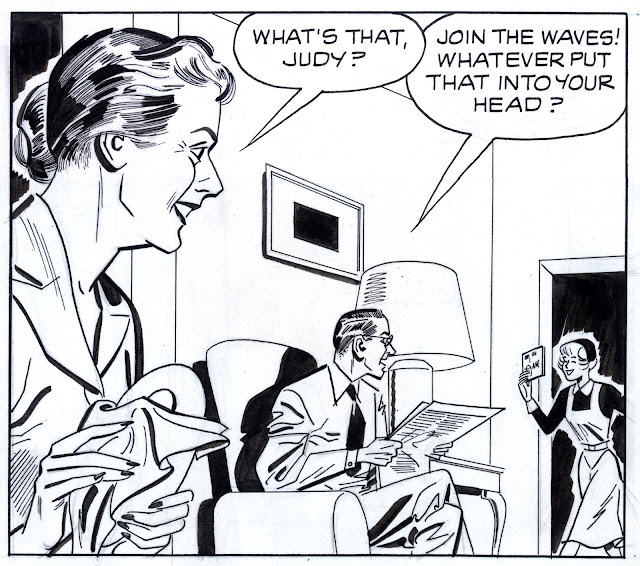 Rader of the Lost Art: George Papp, "Judy Joins the Waves"
I recently won this page in auction at Heritage Auction.com. The lot description credits the artist as “unknown”; it looks like George Papp (artist on the Mort Weisinger Superman books) to me. Does anyone have any information on this page? 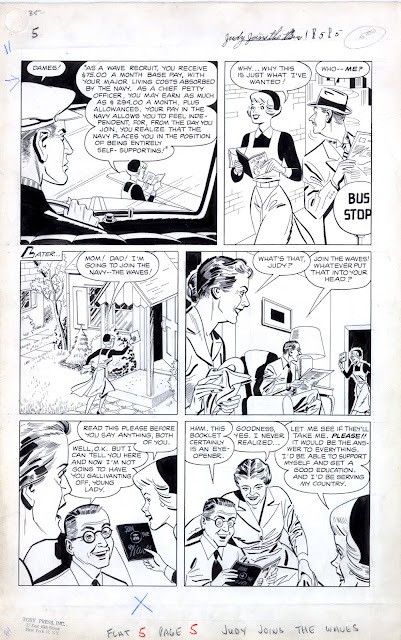 I bought this page because it was cheap (my winning bid was $22), I really like the crisp thick/thin the artist gets on the inks, and I really like the posing and attitudes on the parents in panels 4, 5 and 6. I also find panel 4 interesting because of the cheating of the compositional perspective: realistically speaking, the foreground character must be rising out of the floor. Yet one doesn’t question it, at least on initial reading.